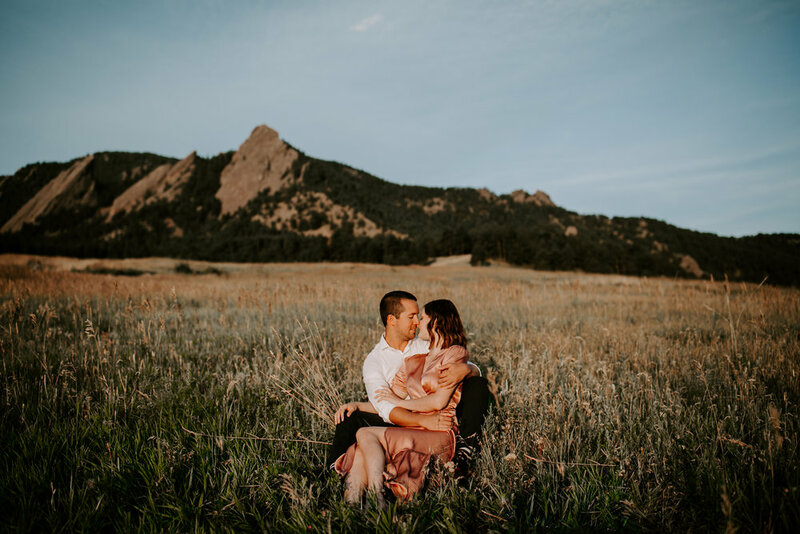 Elle contacted me once she knew I was going to be in Denver, Colorado in July, and set up a session ASAP. 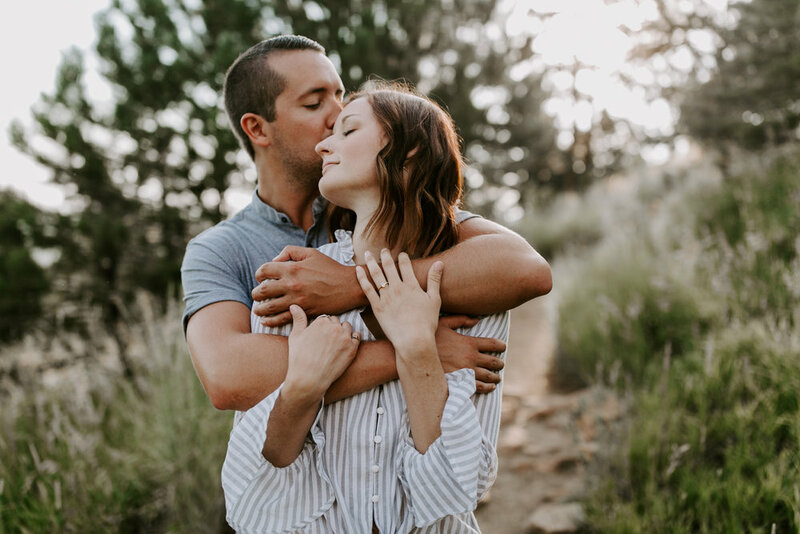 These two were not engaged yet, but she had high hopes that they would be and that this adventure session would turn into an adventure engagement. Annnnnddd that's just what happened!! 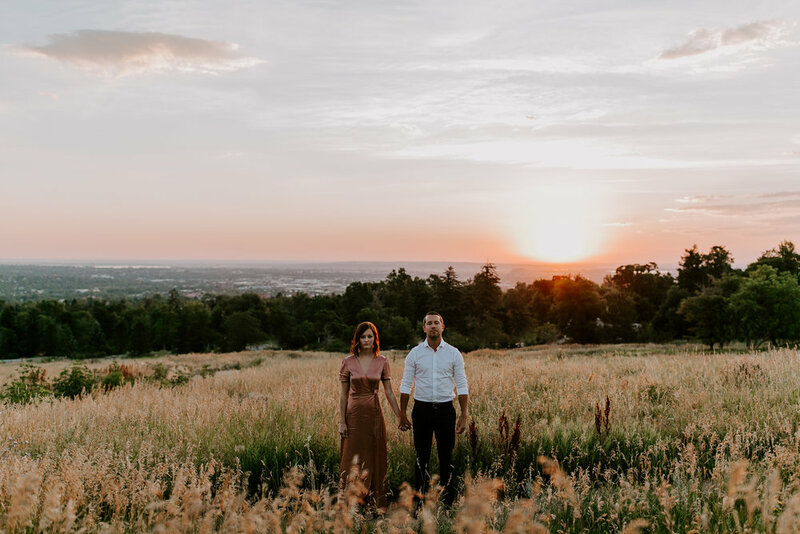 We all got up super early (like 4 AM) to get to this cute little spot near Boulder, CO and catch the sunrise and all of those gorgeous pinky-orange hues. I've known Dustin since my freshman year of college, and he's been one of my best buds since then. No one ever seemed right for him until Elle came along. 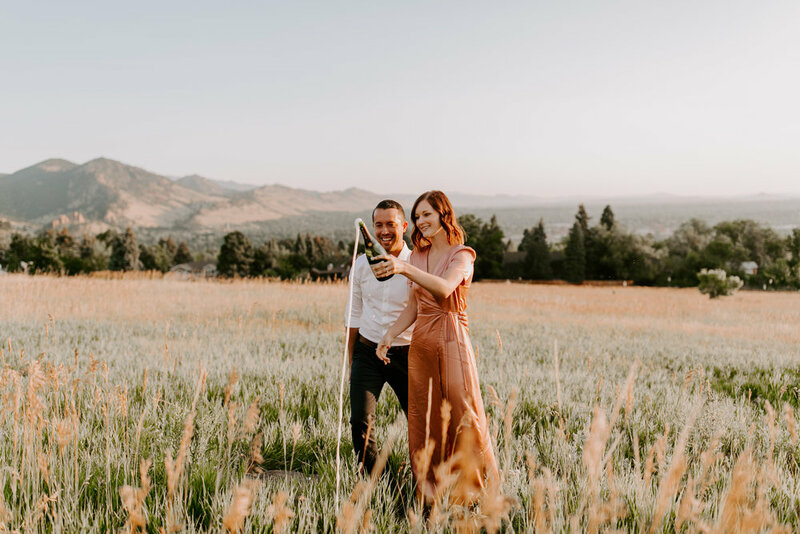 They compliment each other SO well, from values and beliefs, their witty humor, their love of dark and sweet beer, and the adventurous souls they have, too. 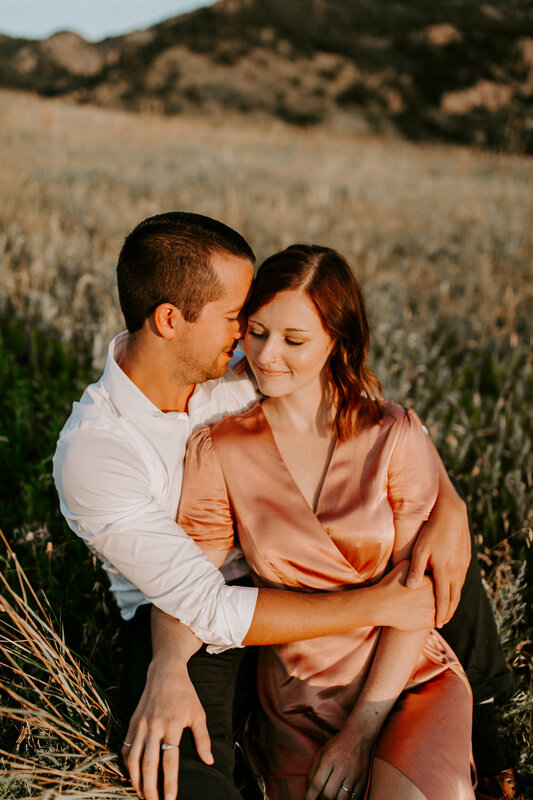 I have fallen so hard for this couple, and I am SO pumped to be shooting their wedding next year at Ashton Hill Farm in Cedar Rapids, IA. 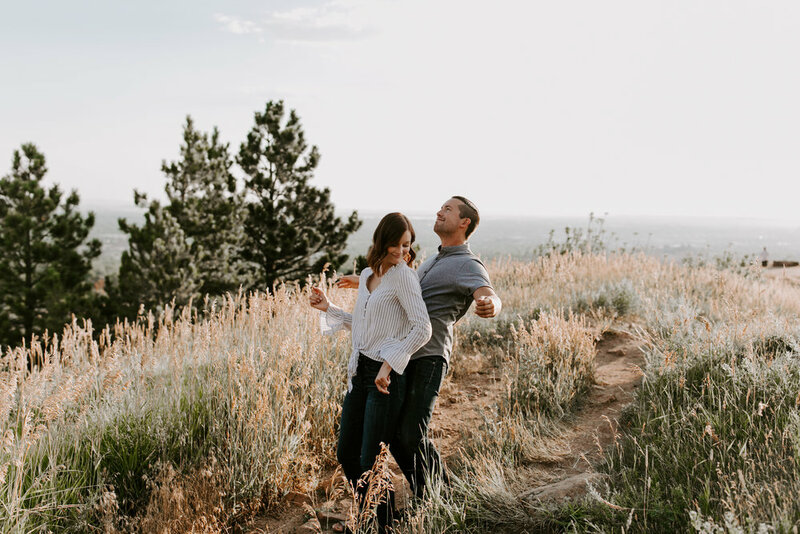 We lucked out in Colorado and got to see the golden glow of sunrise come up over the city and touch the mountain tops, and once we ended the session, we headed into Boulder and posted up at a cute coffee shop for breakfast and a little cup of joe. We were SO happy that we got to hang out with our friends with we were both in Colordao! 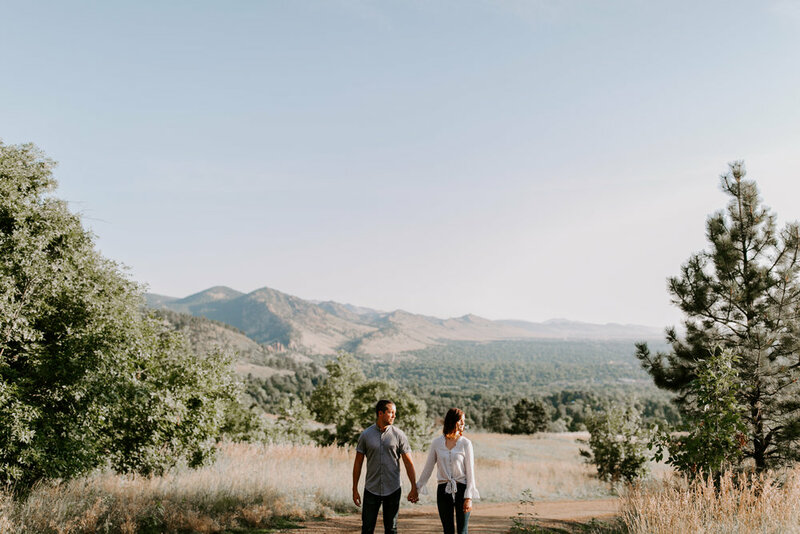 If you're thinking about a destination adventure session and might be on the fence, I promise you that you'll want one after looking at these! Go take a look! Go go go!